Fujita Kanko’s Nordisk Village Goto Islands – Now Taking Reservations | Fujita Kanko Inc. Located in Kyushu, Southern Japan, the Goto Islands consist of 140 islands and are part of Nagasaki Prefecture. 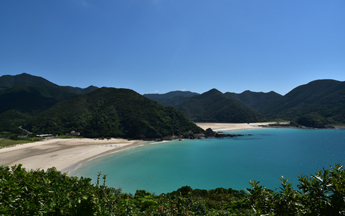 They are known for their unspoiled beaches and breathtaking nature as well as their historic heritage as one of the first Christian settlements in Japan dating back to the 16th century. 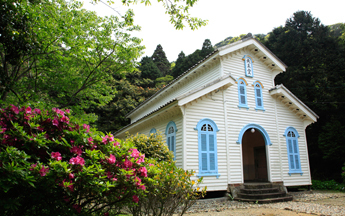 Known as “Hidden Christian Sites in the Nagasaki Region,” they are listed as a UNESCO World Heritage site. Nordisk Village Goto Islands is situated on Fukue Island, the main island of Goto, which can be accessed by air (a 40-minute flight from Fukuoka and 30 minutes from Nagasaki) or via an 85-minute express ferry (Jetfoil) ride from Nagasaki Port. It takes approximately 30 minutes by taxi/bus from the Fukue Airport/Port to the glamping facility. 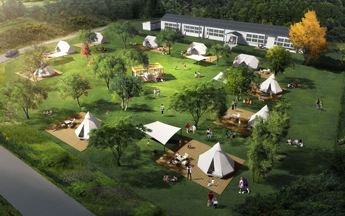 Fujita Kanko acquired exclusive rights to operate Nordisk Village locations around Japan last year in a collaboration with Nordisk, a Danish manufacturer of outdoor equipment. The Goto Islands facility is the second Village in the world and the first one in Japan. 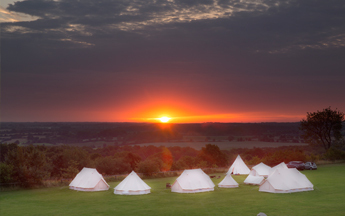 Fujita Kanko also launched another more upscale glamping brand “Fujino,” and opened the first facility, Fujino Kirameki Fuji Gotemba, in April near Mt. Fuji. Fujita Kanko Inc., established in 1955, is a publicly-traded tourism industry corporation headquartered in Tokyo. In addition to its core hospitality business, the company operates wedding and banquet facilities, high-end resorts, leisure facilities and related services. It has 70 properties/facilities, including its five-star flagship, Hotel Chinzanso Tokyo, and 35 mid-priced hotels throughout Japan in the Hotel Gracery and Washington Hotels groups.